Nearly half of all children, particularly teens, have struggled with mental, emotional and behavioral disorders. 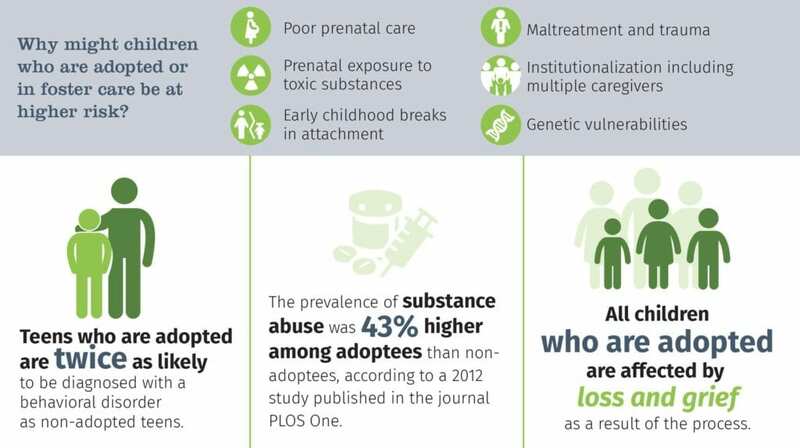 Children who are adopted may be at even higher risk. As a result, adoptive families use clinical services at triple the rate reported by families formed by birth. Sadly, the 26,000 youth who age out of foster care each year struggle with many of these same issues and more, too often resulting in homelessness, unemployment and jail. The consequences are devastating for the youth and costly for taxpayers, requiring an estimated $7.8 billion in annual costs for public assistance, incarceration and lost wages. C.A.S.E.’s counseling and specialized support improves outcomes for children and youth who are adopted or in foster care and their families, turning these statistics into success stories.